Setup Area: needs to be flat, also please note dunk tank water will drain onto setup area when event is over. 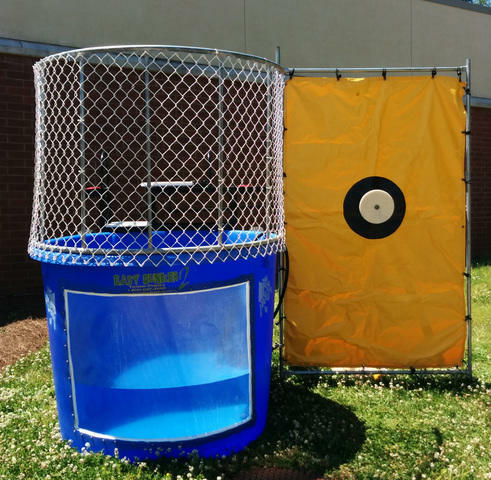 Whether you're planning a fundraiser, block party, or just looking for some clean backyard fun, a dunk tank is sure to be the hit of your party. Toss the balls at the target, and when you hit it the volunteer splashes into the 500 gallon tank! No electricity needed, we'll just need access to an outdoor water tap with hose to fill the tank. 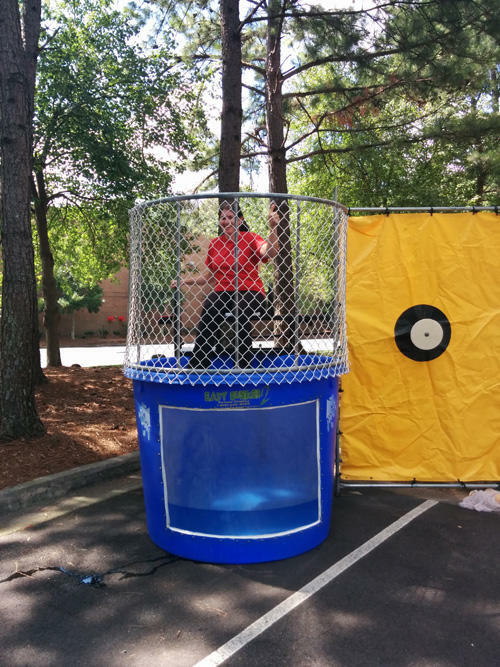 We deliver dunk tanks all over metro Atlanta, including Gwinnett, Lilburn, Stone Mountain, Norcross and beyond.